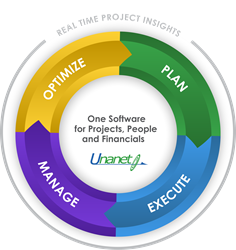 Unanet, a developer of Project ERP software that helps project-driven organizations manage projects, people and financials in one integrated system, announces the election of Michele Perry and Susan Ganeshan to the Unanet Board of Directors. In January of 2016, Unanet shareholders elected Michele Perry and Susan Ganeshan to the Board of Directors to expand the board to eight members. This expansion is due to the growth of Unanet following the release of Unanet Financials and the increased demand for the product from the professional services sector. Six incumbent members were also reelected. Unanet's two new board members are veterans of the enterprise software sector and their expertise will help Unanet continue its growth by delivering outstanding software and services to customers in its chosen markets. Michele Perry's experience includes a variety of executive leadership such as her current roles as Principal of MPB Strategies, LLC, Stars Mentor for MACH37 Cyber Accelerator, and Board Director and Interim Executive at ThreatConnect, Inc. Michele also served in senior roles at other technology companies, earning experience in operations, marketing, sales, product strategy, software, branding, and marketing automation. The expertise Michele has gained and her dedication to helping companies thrive and grow will assist Unanet through her Board of Directors’ position. In addition to the appointment of Michele Perry, Susan Ganeshan will be joining the Unanet Board of Directors. Susan Ganeshan currently presides as the Chief Marketing Officer of Clarabridge where she is responsible for driving high volume lead generation, redefining brand, and providing leadership. Along with Susan’s high-energy, results-oriented mentality and combination of technical and business expertise, this experience as a software executive will benefit the future growth of Unanet. Additionally, Susan brings nearly 20 years of software experience covering the areas of marketing, product management, implementation consulting, sales, and training. All of these abilities and traits will help Unanet to remain a market leader in the people, project and financial management arena. With the election of Susan Ganeshan and Michele Perry, shareholders reelected incumbent Board of Director members, Fran Craig, Jack Hughes, Jack Kerrigan, Patrick Mayworm, Morris Panner, and Chris Craig. All of these incumbent members bring a wealth of knowledge in a variety of professions, allowing for the Board as a whole to provide sound advice and guidance charting the future of Unanet as the company continues to grow. “Adding these new board members with significant marketing experience will help Unanet continue as a disruptive force in the people, project and financial management arena for professional services organizations,” noted Fran Craig, CEO of Unanet. "The entire board is focused toward growing the Unanet company and brand to be the market leader in professional services and project-based organizations. Unanet continues to enhance its one software product with capabilities helping its customers to do more with less, be more competitive in the market place, and move faster with real-time information and decision making."